Sunday morning begins with adult education at 9:00am on the lower level. Worship in the sanctuary begins at 10am with announcements and the ringing of the tower bell. 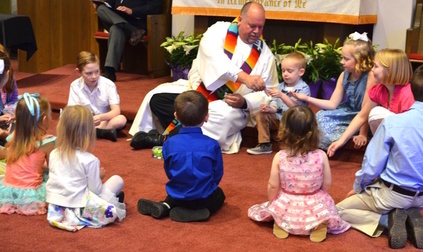 Children's time is at the beginning of the service, after which kids can continue on to their own Christian education time, or stay with their parents. Listening devices are available for those who need a little help hearing clearly. Dress as you feel comfortable. Some of our members wear jeans and t-shirts and others wear dresses or suits. Come as you are. We strive to welcome all, including those who have often been ignored or shunned by the church. ​ instructions for that day. ​communion? You are welcome at God's table. of the month we usually use a less formal worship format to incorporate different styles of worship and music. During the summer months, we include soloists or small groups and we invite the congregation to suggest hymns for upcoming services. One of the highlights of the choir year is the annual Christmas cantata, which is normally presented on the 3rd or 4th Sunday in December. Choir rehearsals are held at 5:30 on Sunday evenings during the school year. We also have an instrumental ensemble that assists with worship on the 4th Sunday of the month. If you are interested in singing in the choir or playing an instrument with the ensemble, contact our Choir Director, Diane Lazorchak, for more information. 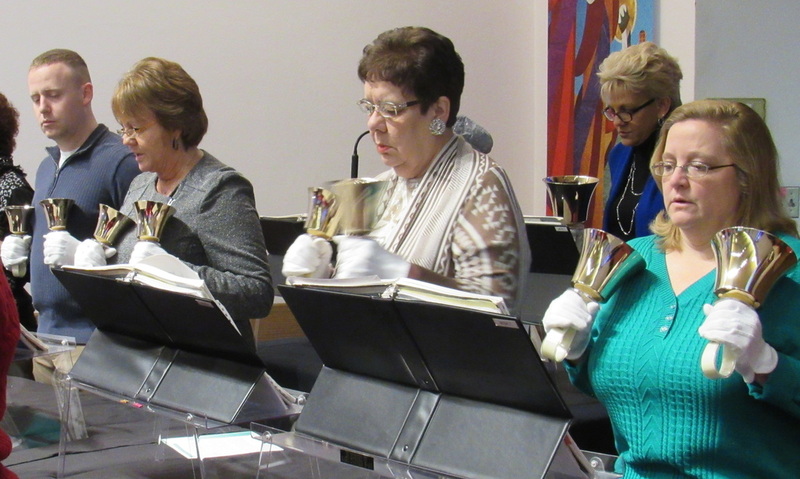 Zion’s bell choir is a dedicated and fun group of approximately 10 ringers who participate in a 3-octave bell and handchime choir. We practice Wednesday evenings with our main goal being to enhance Sunday worship and have fun doing it. Our main focus of course is sacred music, some traditional and some praise, but we also have played Phantom of the Opera, Lady Gaga’s Just Dance, and Frozen’s Let it Go to name a few for our congregation’s enjoyment. Reading music is not required, and we are always open to new ringers! For more information, please contact our church office.